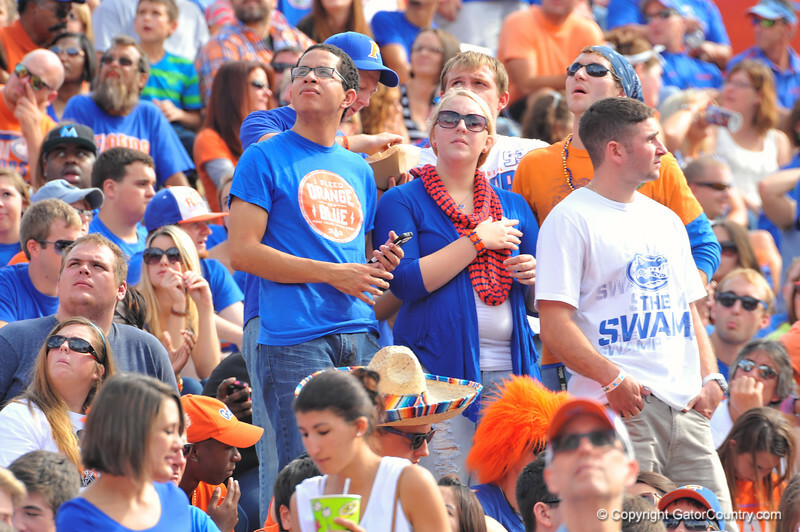 The Florida Gator fans are shocked by the slow start of their Gators in the first quarter. Florida Gators vs Vanderbilt Commodores. Gainesville, FL. November 9, 2013.